Bradfield School (PFI) in Sheffield landed the top spot on the evening, taking home a gold award, with a further seven silver and four bronze completing the tally. 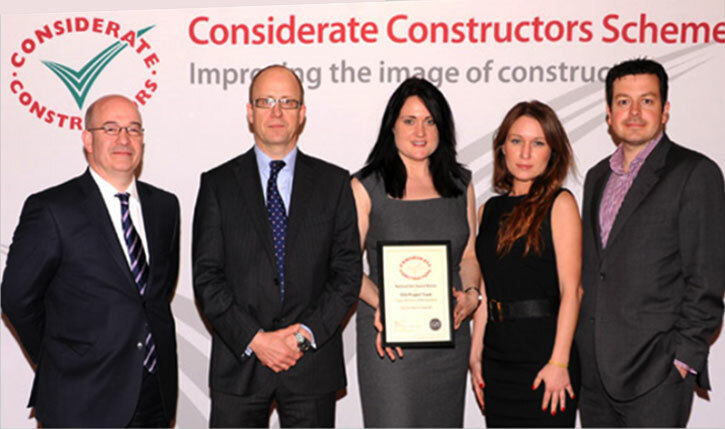 The finalists are chosen by (CCS), an independent industry body committed to improving the image of construction by rewarding sites which display excellent standards of practice towards the general public, the workforce and the environment. Describing the Bradfield Project, CCS said: “All in all, the impact of this site on its locale was entirely positive. (The site) sets an excellent example for others to follow.” The £22m, Building Schools for the Future scheme in Worrall, Sheffield, was completed in December 2012. Several of the VINCI Construction UK winners are already familiar faces on the awards circuit, such as Tottenham Court Road and Tedworth House, which have gathered a healthy number of acknowledgements through the build process.